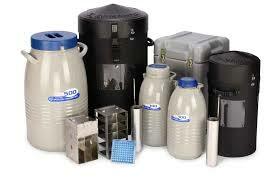 Cryo Express "dry shippers" are designed to transport a variety of materials at cryogenic temperatures safely. The unique adsorbent material prevents liquid spill if the unit is tipped over. This eliminates the danger of spills and represents a significant improvement in the shipment of biogenic material. Storage temperature inside the shipping cavity remains at a temperature lower than -150°C (typically - 190°C) until the liquid nitrogen evaporates entirely from the adsorbent. This increases reliability, especially in the case of shipments involving long distances. Due to superior vacuum performance with super insulation, these units provide maximum holding times. With these vessels and the shipping cases, international shipment no longer represents a problem. 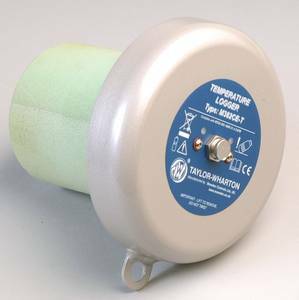 The optional available data logger records the storage temperature of biological materials. Cryo Express (CX) dry shippers designed to safely transport a variety of materials at cryogenic temperatures. The unique absorbent material prevents a liquid spill if the unit is tipped over. Storage temperature inside the shipping cavity remains at approximately -190°C until the liquid nitrogen evaporates from the absorbent material. 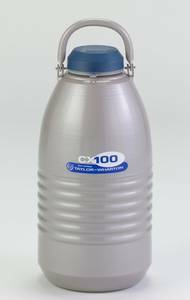 The CX-100 is very robust and meets IATA requirements. With the new CXR series Taylor-Wharton offers a design to overcome the problems of cleaning dry shippers. Tip Over’ Switch – Detects if the shipper has been laid on its side during transport. The position is logged at the same time as the temperature. ‘Tip Over’ is indicated in the temperature log and by LED. To protect the CX/CXR shippers during transportation various types of shipping cases or padded cartons are availale as accessory.